Continuing our popular series looking at major influences on Elvis' musical and performing style, in this article we examine the influence of opera singer Mario Lanza on the young Elvis. "I had records by Mario Lanza when I was seventeen, eighteen years old, I would listen to the Metropolitan Opera. I just loved music. Music period." Mario Lanza was born Alfredo Arnold Cocozza in New York on 31 January 1921 to Italian immigrant parents. As an adult he would derive the name Mario Lanza from his mother's maiden name, Maria Lanza. Idolising the late Enrico Caruso, Lanza, also a tenor, was to become what many referred to as the 'American Caruso'. Elvis' intense liking of Mario Lanza records is well documented in the world of Elvis literature. 'Incredible as it might seem, his favourite was Mario Lanza. Elvis played the sound-track album from MGM's The Singing Prince so often he wore out the grooves. "Lanza's delivery of such songs as "Golden Days", "I'll Walk With God", and "serenade" had such an impact on Presley that he went on to mimic the style in his own impending songs, including the ballad "Can't Help Falling In Love" and the operatic "It's Now or Never". "Elvis loved opera, and he especially liked Mario Lanza. He would watch The Student Prince which was set in Heidelberg, over and over again. He loved the power of the big voices. And he loved big orchestras. He liked real dramatic things." When asked what kinds of music Elvis liked, Kathy Westmoreland responded that he listened to gospel as well as opera singers Leontyne Price, Mario Lanza and Enrico Caruso. The fact that Lanza was also a movie star would have reinforced Elvis's liking for him and his music. Jerry Hopkins in his Elvis - The Final Years, even suggests that Elvis is reported to have told the directors of Elvis On Tour, Pierre Adidge and Bob Abel, that more than anyone else Mario Lanza influenced his singing. "Just listen to the consummate ease with which he moves from an expressive "Ave Maria" the one moment, to a joyous "Valencia" the next. And did any tenor ever put as much passion and excitement into "Granada. "Lanza clearly had one of the great romantic tenor voices of all time, something that went beyond mere training or vocal finesse. This last sentiment is one many Elvis fans will readily identify with. And as Assistant Professor Patsy Hammontree observes in her excellent book Elvis Presley A Bio-Bibliography, Lanza with his classically trained voice, gave a classical sound to popular music. Conversely, his interpretation of classical and operatic music often gave it a popular sound - "La Donna E Mobile" from Rigoletto, "Drink, Drink, Drink" and "The Donkey Serenade" being cases in point. As a youth, Lanza and his family moved to South Philadelphia where he was raised in one of the tough neighbourhoods characterised by gangsters and musicians. Living next door to the Lanza's were the Giannini family including singer Dusolma Giannini. Lanza attended the South Philadelphia High School where he was the acknowledged "Boss. With a powerful build, he played on the backline of the football team and for a time became a semi-pro as well as dabbling in amateur boxing. As a member of the South Philadelphia Boys Weightlifting Club he could lift 200 pounds. But his real passion was his love of music although given where he was growing up he kept this secret. Like Elvis, Lanza enjoyed a stint as a truck driver although this did not lead to his big break as is sometimes reported. Lanza,s first big break came when he was studying at the Philadelphia Academy of Music, where its concert manager, William Kuff, arranged an audition for him with Serge Koussevitzky who ran the famous Tanglewood School of Music in Massachusetts. Lanza would subsequently receive a scholarship to train at Tanglewood. As happened in the Elvis story, the US Government then stepped in. Lanza was drafted and served three years in the army, most of his stint spent touring with the Army Air Forces, all-soldier musical revue On The Beam, and as a member of the Winged Victory, company. Prior to army life in 1942 Lanza had auditioned for Arthur Judson, President of Columbia Concerts, who was so impressed that he promised him a job as soon as he returned to civilian life. As an aspiring opera star Lanza studied at several music schools including Tanglewood where he was in the company of another musical identity, Leonard Bernstein. It was Bernstein who would later comment that Elvis Presley is the greatest cultural force of the 20th century. 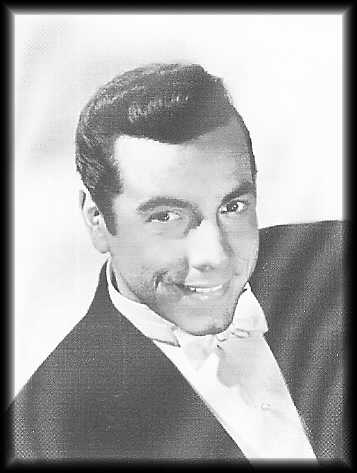 Lanza was originally signed as an artist on the rooster of Columbia Concerts and later RCA (now BMG) saw his potential and signed him even though he had yet to make his professional career on the opera stage. Lanza would go on to record more than 400 songs for RCA Victor over a ten year period. In the mid 1940s Lanza was a standin for noted tenor Jan Peerce on ABCs Celanese Hour radio show and was also selected for a series of radio shows "Great Moments in Music. A year long tour of the US, Canada, Newfoundland and Mexico with soprano Francis Yeend and baritone George London resulted in a final concert at the Hollywood Bowl in August 1947. In the audience that night was Louis B. Mayer, head of the powerful movie house MGM. A screen test followed, resulting in Lanza being offered a seven year contract which would largely signal the end of his rising career as a stage opera star. In fact before going to Hollywood, Lanza had only twice appeared on an opera stage, the first time being in 1948 as Pinkerton in Madama Butterfly. It was Lanza's lack of stage exposure which led to persistent (but unfounded) rumours that his voice was more the result of hi-fi recording production than a naturally powerful voice. Lanza,s first movie was The Midnight Kiss, in 1949 and this was followed by The Toast of New Orleans, and the movie which firmly established him as the successor to Caruso's crown, ironically The Great Caruso. Before The Great Caruso, Lanza was topping charts around the world with Be My Love, a song which Elvis would certainly have heard on the radio. It was full of drama and emotion - two qualities common to many Elvis recordings. Other million selling singles were to follow, notably "The Loveliest Night of the Year" and "Because You're Mine". Lanza's battle with his weight took its toll on his fourth movie Because You're Mine, and the problem was made worse when Lanza,s demand for better scripts was virtually ignored. The tenor's ongoing battle with the studios reached breaking point during the making of The Student Prince, with Lanza, who would be replaced by actor Edmund Purdon in the movie, walking off the set. He would however provide the singing voice for Purdom. Despite the drama Lanza's recordings for The Student Prince, are generally regarded as his greatest session in the studio. The uneasy relationship between Lanza and Hollywood continued during the filming of his next movie, Serenade. In 1957 Lanza moved his family to Rome hoping for a fresh start. In Italy he would make two more movies (The Seven Hills of Rome and For the First Time), appear at a Royal Command Performance and complete a successful tour of Europe only marred by several cancellations due to Lanza's ill health. In the midst of rumours of Lanza returning to the stage tragedy struck. On October 7, 1959 while undergoing treatment in a Rome clinic, Lanza suffered a massive heart attack and died at the young age of 38. The world had lost yet another star who had brought great joy to millions. "In his famous Neapolitan air (originally "O Sole Mio) he suddenly sounds for all the world like a Neapolitan tenor. "He [Elvis] had not been confined to one type of vocal production. In ballads and country songs he belts out full-voiced high Gs and As that an opera baritone might envy. Had Elvis ever read these comments I suspect he would have been particularly happy. Elvis and Mario also both recorded "Danny Boy, You'll Never Walk Alone and "Santa Lucia. To gain an appreciation of the talent of Mario Lanza that so impressed and influenced Elvis and indeed the world I recommend the album Mario Lanza The Ultimate Collection, from BMG. A comprehensive and excellent biography also appears on The Australian Mario Lanza Society Website. Other articles in our series "Influences on a Legend"